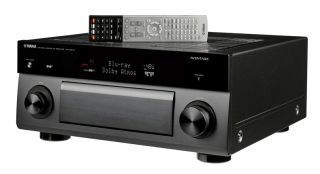 Alexa integration comes to Yamaha AV receivers and soundbars | What Hi-Fi? Have a Yamaha product? Does it have MusicCast? If so, you can now get Amazon's Alexa voice assistant into your home. Alexa continues its dominance in the smart home market by making its way into Yamaha's considerable portfolio of AV products. It's now available on select Yamaha MusicCast products, which covers a huge range of kit from AV receivers (such as the RX-A3070 and RX-A1060), soundbars (YSP-2700, YSP-5600), hi-fi systems, wireless speakers and more. Once set up, you can simply ask Alexa to do the basics such as turning your Yamaha receiver on or off, playing, skipping, pausing tracks, selecting inputs or turning the volume up in whichever room your product is. For anything beyond those basic commands, you'll have to tell Alexa to invoke MusicCast. So you can say "Alexa, ask MusicCast to..." link rooms (if you have a multi-room system set up), link products, or play a specific MusicCast playlist. If you want to ask Alexa to play specific songs or artists, however, you'll need to have an Amazon Echo or Echo Dot as your source. There are currently over 40 MusicCast products ready for Alexa integration, with more on the way. The full list of compatible products can be found here.